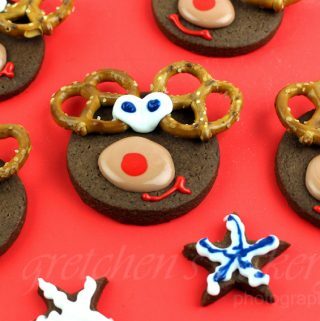 How cute are these chocolate shortbread Reindeer Cookies? 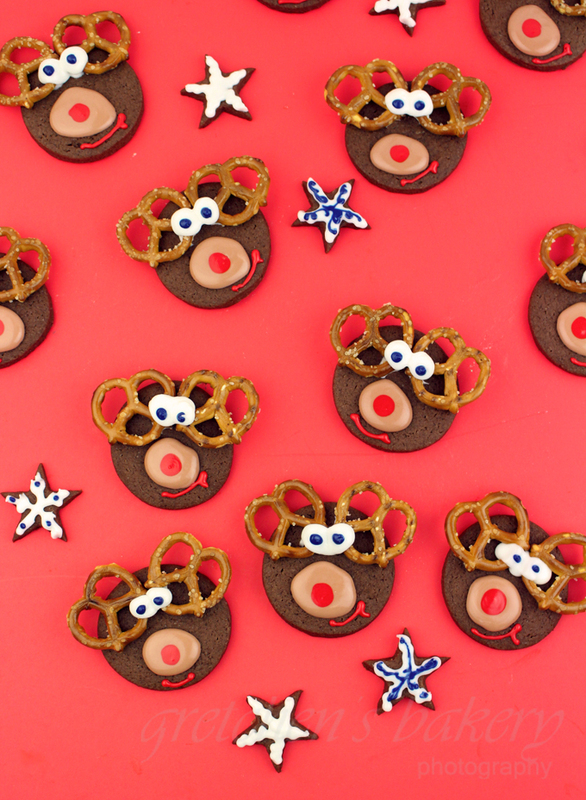 No Christmas Cookie platter is complete without an appearance by the one and only Rudolph the Red Nosed Reindeer! Complete with mini pretzel horns! These cookies were quite possibly my favorite addition to my 12 Days of Christmas Cookies recipe series! Not only because they are totally adorable, but I love me some chocolate shortbreads! 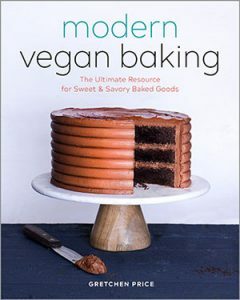 Crispy chocolate shortbread decorated with vegan royal icing and those salty pretzel horns were the perfect contrast of flavors! 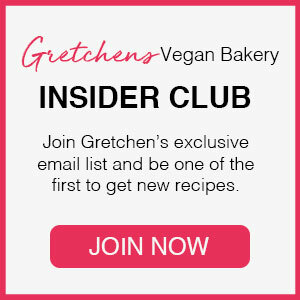 I love a crispy, sandy textured shortbread cookie and this easy to make recipe is going to become a year round addition to your cookie recipe file! Cream the vegan butter with the sugar until light and fluffy, about 4 minutes. Next sift together the flour, cocoa powder, baking powder and salt and add it all at once to the creamed mixture. Mix just until it is all combined. Wrap this dough disc in plastic wrap and chill for at least 2 hours or overnight before using or you can store it for up to 1 week wrapped in plastic wrap in the refrigerator. Color the icing brown, blue and red leaving some white. On completely cooled cookies, decorate as shown in the video.